I had found 4 barstools at my local Homegoods. But, I needed 5. So I took a chance and bought them and then got on Overstock and happened to find the exact one on here. I ordered it and it matched perfectly! These are good quality and the tops are a nice color. 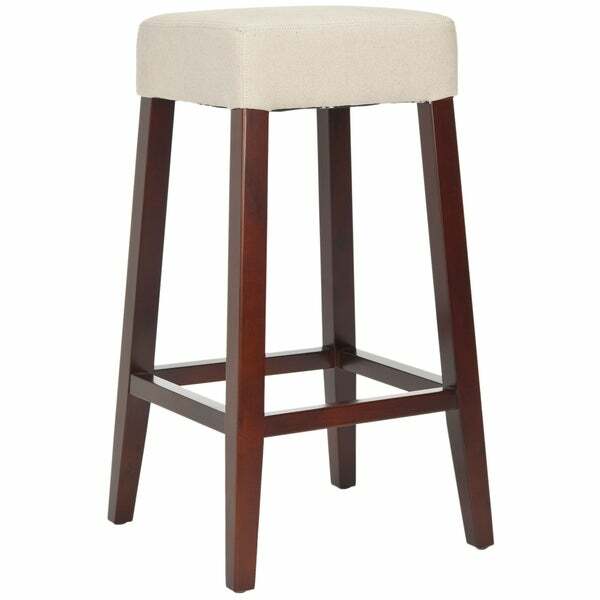 With a sleek, modern style and fine craftsmanship, this barstool will give your kitchen or bar an updated look. Constructed of a sturdy wood frame, this linen seat in an easy to maintain cream color blends with any decor.